Environment, maritime affiars and fisheries commissioner Karmenu Vella kicks off our special green week feature, underlining that "For decades our wildlife has been declining at an alarming rate. Valuable habitats have been lost as a result of rapidly changing land use, pollution, infrastructure development and continuing urban sprawl." S&D deputy Pavel Poc also warns that the EU risks heading into another year where it fails to meet its biodiversity targets. 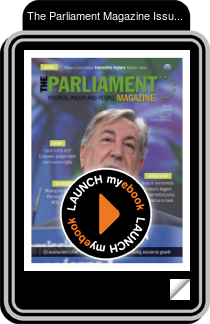 The Czech MEP writes, "the degradation of ecosystem services, while they are being submitted to increasing human pressure, is likely to cost the world around seven per cent of its GDP by 2050." Executive director of the European environment agency Hans Bruyninckx continues the cautionary tone, pointing out that more than half of Europe's species have an "unfavourable" conservation status.